The 2017 culinary trip to Italy, led by Ms Crowley, took place during the Halloween mid-term break. Slideshow here. During the October mid-term break, 37 second year students travelled to Italy on a Culinary Skills Trip. On the trip they visited Rome and saw all the tourist sites before travelling to Sorrento on the Almafi Coast. 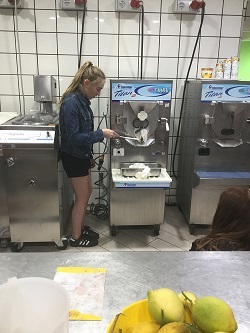 They visited a coffee bean roasting factory, a honey farm, a mozzarella cheese farm, an olive farm, a pastry kitchen and, of course, a gelatoria. 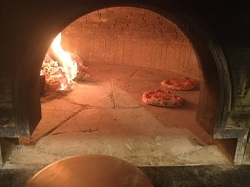 In the evenings, they went to Alexia Cookery school where the girls learned how to make pizza, pasta and gnocchi. They also went on an amazing trip on the Almalfi Coast and had their very own private boat trip on the coastal region. On their return journey back to Rome, they went to see Pompeii where the girls had a history lesson. It was a great trip. Thanks to Ms Crowley, Ms Ní Mhuineacháin and Ms A O' Neill for coming along. They hope the 2nd years really enjoyed it. Finally, thank you to Saffron Travel who organised the accommodation, flights and bookings. A number of TY students participated in the annual science trip to Euro Space Camp in Belgium at the end of February. Here students learned about the different aspects of astronaut training, from the multi-axis chair, moon walk to the anti-gravity wall. They launched their own missions and built their own rockets. A day was also spent in EuroDisney. Along the way from Belgium to France, the girls had stopovers in Bruges and in Maastricht (of treaty fame) in Holland. 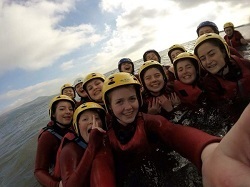 All TY students were given the opportunity to go on the TY 'Bonding' Trip to Carlingford at the beginning of October. It was a chance for all students to enjoy a mix of land and water activities, from Challenge Course, Zip-lining and Frenzies to Pier Jumping. They worked on their team-building skills as well. The annual TY ski-trip took place at the start of the Spring term. 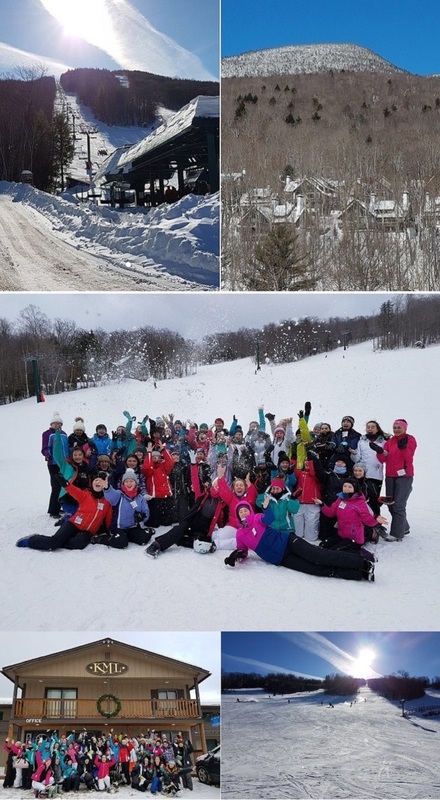 The 50 students and teachers braved temperatures as low as -26 degrees celsius (-41 with wind chill) as they tackled the slopes in Woodville and Loon, 220 kms north west of Boston, in the White Mountain National Forest. However, the severe cold did not seem to dampen their spirits, judging by the photos below. Well done to Ms Ní Mhuineacháin, Ms Crowley, Ms Farrell and Ms Grace for leading the group. Manor House made their first visit to Iceland during the May Bank Holiday weekend in 2016. It was an exciting and action packed trip. A party of 13 students with Ms Lafferty and Mrs Ward were based in Reykjavik, the capital of Iceland for the three nights of the tour. Photos, videos and text on Geography page. A group of 1st and 2nd years spent the May Bank Holiday weekend in Paris and had a packed itinerary. They had a magnificent view of Paris from the second floor of la Tour Eiffel, took selfies in front of la Joconde in the Louvre, had a lovely trip down the Seine in a bateau-mouche, shopped for lunch in a supermarché and ate it in the Tuilerie gardens, took a funicular up to Montmartre, explored the Sacré Coeur and the Place du Tertre, went to a sung Mass in Notre-Dame de Paris, had caricatures drawn in front of the Centre Pompidou, posed in front of the Arc de Triomphe in La Défense, ate on the Champs Elysées, bargained for keyrings and stuffed toys everywhere, strolled throught the gardens in Versailles and had a great time in Disneyland. The girls were accompanied on the trip by Ms Higgins, Ms Fullam, Ms O'Connell and Ms O'Neill. The annual Ski Trip to New Hampshire, USA took place in January. Students had skiing lessons in the morning and in the afternoon. The evenings were spent doing a number of different activities such as cinema, zip-lining, wall climbing and a little bit of shopping. The Alicante GAA trip took place before the Halloween mid-term break. It was a fitness camp for both camogie and football players. There was a mixture of 2nd to 6th years on the trip. Luckily the weather behaved itself and wasn't too hot for training.